Welcome to the Good Hands Plainwell℠ Website! Have you ever wondered how hunger affects our children? Sadly, there are many side effects of hunger including lack of energy and motivation, health problems, learning disabilities and behavior problems to name a few. And it is estimated that one quarter of children arrive at school hungry. Good Hands Plainwell℠ is a community outreach program in Plainwell, Michigan with the goal of distributing weekly nutritional food to local school children who are in need of assistance. The children selected to participate in the program are identified by their schools as qualifying for the federal Free Meal Program. 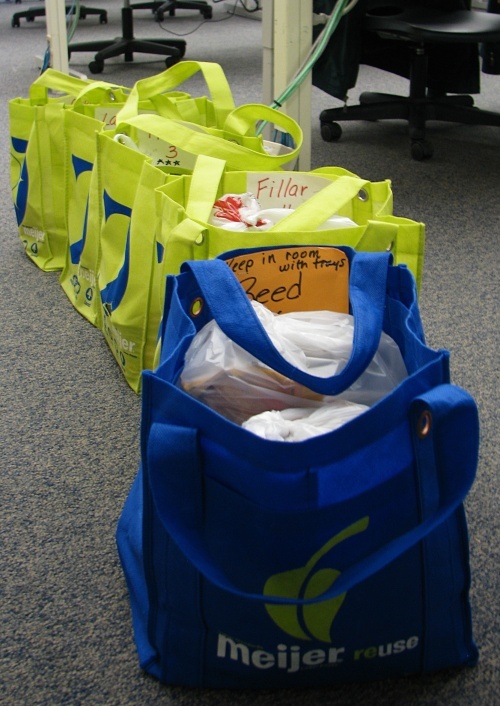 Each Friday afternoon during the school year, Good Hands Plainwell℠ provides the children with a food bag containing two breakfasts, two lunches and a snack to take home to help ensure their nutritional needs are met. Good Hands Plainwell℠ is funded entirely by donations, and the food bag assembly and distribution is completed by an all-volunteer team. Good Hands Plainwell℠ is also a registered 501(c)(3) non-profit corporation, so all donations are tax deductible. Please help us continue this great work by making donation to our program. 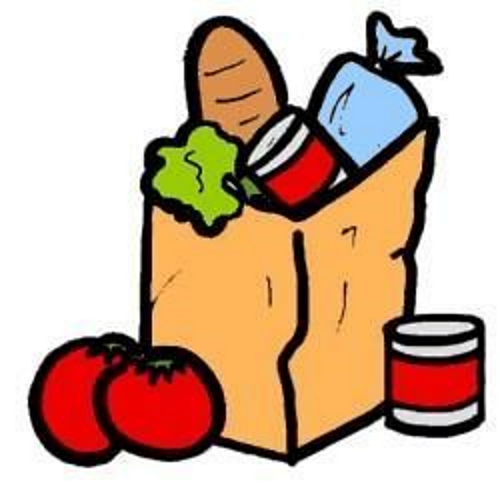 Visit out Donate page to learn where to send a donation, as well as what other needs we have and how you can become a Good Hands Plainwell℠ volunteer. We thank you for visiting our web site and hope you will consider helping with a donation of time or money to help Good Hands Plainwell℠ make a real difference in the life of the children of our community. The Plainwell Community School district has 2,747 total students enrolled, of which 33.78% are classified as economically disadvantaged students. Starr Elementary has 233 free lunch kids and 16 reduced cost lunch kids, which equals 45.44% economically disadvantaged students of the 538 students enrolled. Gilkey Elementary has 125 free lunch kids and 17 reduced cost lunch kids, which equals 33.26% economically disadvantaged students of the 430 students enrolled. Cooper Elementary has 51 free lunch kids and 16 reduced cost lunch kids, which equals 26.91% economically disadvantaged students of the 247 students enrolled. One out of every six children in the United States, (12.4 million), is at risk of hunger. Over 62% of children in the US public school systems are on the Free or Reduced Price Meal program. Childhood hunger can lead to weaker immune systems and increased hospitalization rates. Poor nutrition early in life can impair neural development and lead to a lower IQ. Unmet nutritional needs make it difficult for children to learn, pay attention in class or behave properly in order to retain what they learn. Data shows that a hungry child is sick more often and has a lower level of academic achievement. *National statistics courtesy of BlessingsInaBackpack.org and researched through reports published by the USDA.gov and FRAC.org. Click here to email Good Hands Plainwell℠.